The last time Ken Brower traveled down the Yampa River in Northwest Colorado was with his father, David Brower, in 1952. This was the year his father became the first executive director of the Sierra Club and joined the fight against a pair of proposed dams on the Green River in Northwest Colorado. The dams—a big one at Echo Park and a smaller one at Split Mountain—would have flooded the canyons of the Green and its tributary, the Yampa, inundating the heart of Dinosaur National Monument. With a conservation campaign that included a book, magazine articles, a film, a traveling slideshow, grassroots organizing, river trips and lobbying, David Brower and the Sierra Club ultimately won the fight—ushering in a period many consider the dawn of modern environmentalism. 62 years later, Ken revisited the Yampa and Green Rivers to reflect on his father's work, their 1952 river trip and how we will confront the looming water crisis in the American West. Words cannot adequately describe the Yampa Canyon in Dinosaur National Monument, one of the last wild rivers in the Colorado River Basin. 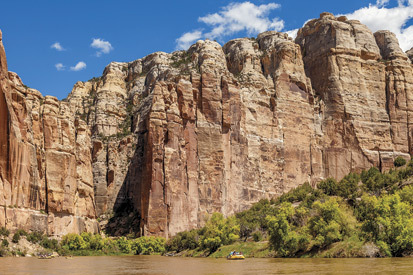 Experienced boaters claim that a trip down the Yampa River is the best five-day float trip in the world. It’s a journey through geologic formations that date back over a billion years, canyon walls that rise over a thousand vertical feet, ancient pictographs and petroglyphs, and of course, thrilling whitewater. But this isn’t just about rafting. As the West faces a looming water crisis, the Colorado River Basin is in the spotlight more than ever. And unfortunately, because of its abundant water and record demand, the wild Yampa River continues to be a target for diversion. We need rivers like the Yampa—to remind us how rivers are supposed to function, to demonstrate that it is possible to sustain vibrant agriculture while conserving endangered fish and recreation, and to help us improve the management of other rivers in the Colorado Basin. That’s why OARS has teamed up with American Rivers on 62 Years to urge key decision makers to continue to safeguard the Yampa for future generations. 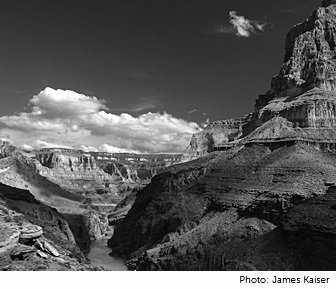 Please join us as we diligently work to preserve and protect this icon of the American West. 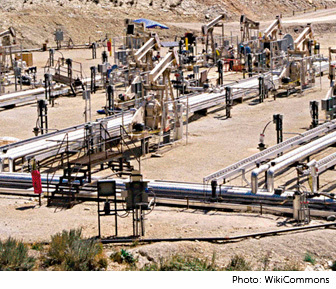 David Brower becomes the first Executive Director of the Sierra Club, and as Colorado River water storage plans are taking shape, immediately turns his attention to rivers. Brower, along with his sons and a group of Sierra Clubbers, raft the Yampa and Green Rivers, where two dams known as the Echo Park project are proposed. 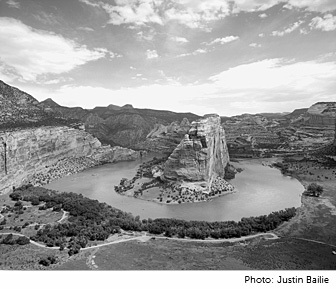 Brower and the Sierra Club begin the prototypic conservation campaign and use a film, book, magazine articles, traveling slideshow, grassroots organizing and lobbying to fight against the Echo Park project, which would flood the heart of Dinosaur National Monument. 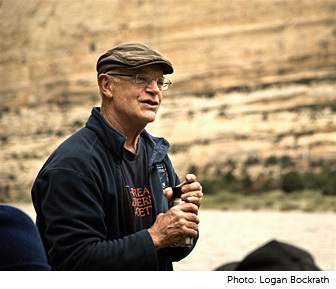 Over the next several years, Brower also contracts with legendary river guide Bus Hatch and his son Don Hatch to lead numerous Sierra Club river trips on the Green and Yampa Rivers to create a passionate group of supporters. Conservationists successfully lobby Congress to delete the Echo Park project from the Colorado River Storage Project, also creating more lasting policy against building dams in protected lands, and the Sierra Club receives much of the credit. Congress instead agrees to build reservoirs upstream, outside of any federally-protected land, at Flaming Gorge and downstream at Glen Canyon. The Colorado River Storage Project Act is authorized by Congress and after more than 30 years of planning, construction begins on Glen Canyon Dam. Glen Canyon Dam is completed and shortly after the Bureau of Reclamation announces plans for two dams in the Grand Canyon—the Bridge Canyon and Marble Canyon Dams. David Brower organizes a dory trip through the Grand Canyon with an up-and-coming environmental crusader, Martin Litton. The two become key figures over the next few years in the battle to stop the Grand Canyon from being flooded. President Lyndon B. Johnson signs the Wilderness Act into law, protecting 9.1 million acres of federal land and creating a formal process for designating wilderness in the U.S.
Public outcry prevails and plans for the Marble Canyon and Bridge Canyon Dams are scrapped, marking one of the biggest environmental victories in history. President Lyndon B. Johnson signs the Wild & Scenic Rivers Act, which has since protected more than 200 free-flowing rivers in 39 states and Puerto Rico. President Nixon signs an executive order establishing the Environmental Protection Agency out of elevated concern over environmental pollution. The Federal Water Pollution Control Act of 1948 receives a complete overhaul and becomes the modern-day Clean Water Act. 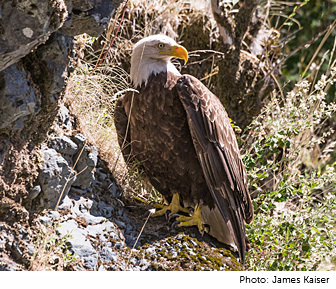 Endangered Species Act outlines new requirements for the protection and enhancement of fish, wildlife, and the environment. Concern over the deteriorating health of the Grand Canyon ecosystem prompts the Bureau of Reclamation to initiate an Environmental Impact Study (EIS) to measure the impact of the Glen Canyon Dam. McPhee Reservoir on the Dolores River is completed and begins to fill—impounding one of the last free-flowing rivers in the Colorado River Basin. Grand Canyon Protection Act is signed, requiring Glen Canyon Dam to be operated in such a way that the health of the Grand Canyon ecosystem takes priority over maximizing hydropower generation. 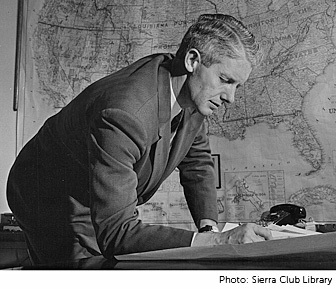 Esteemed conservationist David Brower, who served as the first Executive Director of the Sierra Club and founded many other environmental organizations, passes away at the age of 88. House Bill 1777 signed into law by Colorado Governor Bill Owens to facilitate the formation of water policy recommendations and concerns with input from residents and water experts from river basins across the state. Northern Colorado Conservancy District introduces conceptual plans for a $4 billion Yampa Pumpback Project which would pump water from the Yampa River to the Front Range’s growing cities, including Denver. The Northern Colorado Water Conservancy District decides to stall the Yampa Pumpback Project indefinitely, despite the introduction of conceptual plans and a successful feasibility study. American Rivers lists the Colorado River as #1 on its list of America’s Most Endangered Rivers® due to concern over outdated water management throughout the entire basin. Binational agreement between the United States and Mexico releases over 100k acre feet of water to begin restoring the Colorado River Delta. Founder of Grand Canyon Dories and legendary conservationist Martin Litton, who was largely credited for saving the Grand Canyon from being dammed, passes away at the age of 97. 62 years later, David Brower’s son and environmentalist, Kenneth Brower, returns to raft the Yampa and Green Rivers. Kenneth Brower writes on environment and natural history for The Atlantic, Audubon, National Geographic, Smithsonian, and other magazines. 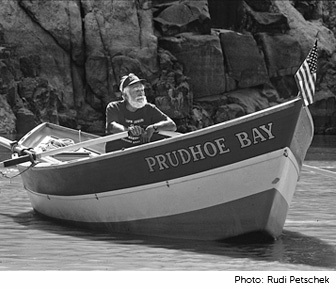 He is the author of many books, among them The Starship and the Canoe, Wake of the Whale, A Song For Satawal, Freeing Keiko, One Earth, Realms of the Sea, and, most recently, The Wildness Within: Remembering David Brower, and Hetch Hetchy: Undoing a Great American Mistake. He lives in Berkeley, California. As the demand for water in the West now exceeds its supply, the fate of the Colorado River System is in limbo more than ever. And it’s up to us to write the next chapter of the environmental movement, which includes greater water conservation efforts. 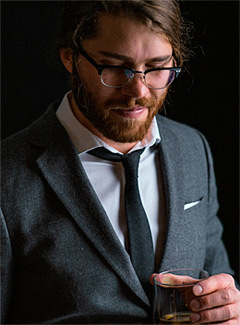 For Logan Bockrath, a self-taught filmmaker, the path to a career in filmmaking wasn’t planned. Logan lives outside of Fayetteville, WV with his dog Greyson. You can see more of Logan’s work at www.thelonious-step.com. At OARS we strive to enrich people ’s lives by providing outstanding outdoor adventure experiences. We personally encourage and actively support awareness, deeper appreciation, and preservation of our rivers and natural ecosystems. Our trips are great adventures that emphasize heightened attentiveness to human impact on the environment. In partnership with our guests, OARS has contributed more than $3.5 million in donations and fees toward the preservation of the environment and to various conservation initiatives since the company was founded in 1969. For more information on our commitment to responsible travel and to view our collection of award-winning nature-based adventures, visit the OARS website: www.oars.com. Angels Camp, Calif. — Veteran river outfitter, OARS, is pleased to announce the release of a new film, 62 Years, set on the legendary Yampa River. The film by Logan Bockrath is all at once a story of a father and son, a tribute to preeminent conservationist David Brower and the dawn of the modern environmental movement, as well as a call to action to confront the looming water crisis in the American West. The last time Ken Brower traveled down the Yampa River in Northwest Colorado was with his father, David Brower, in 1952. This was the year his father became the first executive director of the Sierra Club and joined the fight against a pair of proposed dams on the Green River in Dinosaur National Monument. The dams—a big one at Echo Park and a smaller one at Split Mountain—would have flooded the canyons of the Green and its tributary, the Yampa, inundating the heart of Dinosaur National Monument. With a conservation campaign that included a book, magazine articles, a film, a traveling slideshow, grassroots organizing, river trips and lobbying, David Brower and the Sierra Club ultimately won the fight—ushering in a period many consider the dawn of modern environmentalism. Sixty-two years later, Ken revisited the Yampa and Green Rivers to reflect on his father's work, their 1952 river trip and how we will confront the looming water crisis in the American West. The Yampa River in Northwest Colorado is the last major free-flowing river in the Colorado River Basin. Because of its wild nature, the Yampa and its canyons provide refuge for endangered species and offer unparalleled recreational opportunities. It is also because of this that the Yampa continues to be a target for water diversion as supplies diminish throughout the Colorado River Basin. That’s why OARS is teaming up with American Rivers on this film to urge key decision makers to continue to safeguard the Yampa for future generations. In 1969 OARS became the first exclusively non-motorized rafting outfitter authorized by the National Park Service to run trips on the Colorado River through the Grand Canyon. Today OARS caters to active travelers of all ages and abilities with more than 75 unique itineraries worldwide, including one-day and weekend escapes. Each year the company contributes to regional conservation organizations around the globe via voluntary donations and annual fundraising events, and in partnership with their guests, OARS has contributed more than $3.5 million in donations and fees toward the preservation of the environment and to various conservation initiatives since the company’s inception. For more information on OARS eco-friendly adventures, visit www.oars.com, email the company at info@oars.com or call 1-800-346-6277. American Rivers protects wild rivers, restores damaged rivers and conserves clean water for people and nature. Since 1973, American Rivers has protected and restored more than 150,000 miles of rivers through advocacy efforts, on-the-ground projects, and the annual America’s Most Endangered Rivers® campaign. Headquartered in Washington, DC, American Rivers has offices across the country and more than 200,000 members, supporters and volunteers.